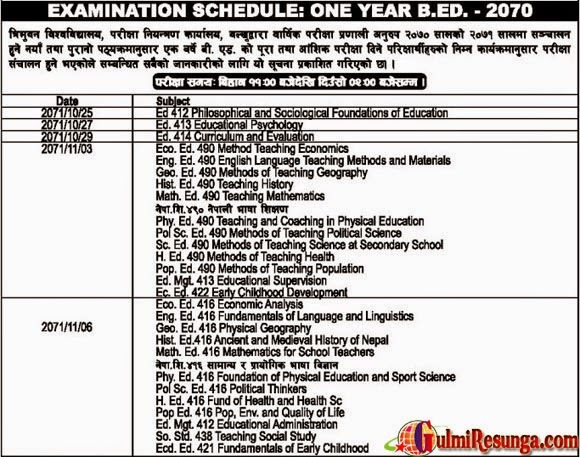 Tribhuwan University , Office of the controller of Examination, Balkhu has published the examination routine for One Year B.Ed - 2070. This notice is applicable for both regular and private students and also for chance examiner. For more detail see the notice below.